Chilli is definitely a family favourite; Its a fun meal, perfect for any occasion. In my household, we eat it with nachos, sour cream and cheddar cheese, but honestly, I think its good enough to eat alone if you really wanted to 😉 . I made this for dinner last night and it was fabulous! Cook onions, green pepper, celery and garlic in oil until the onions are transparent and peppers and celery are soft. 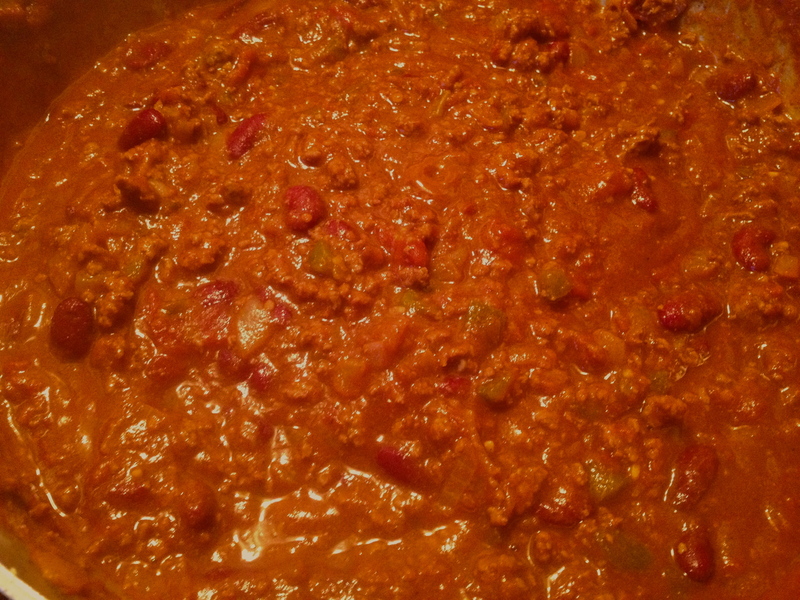 Add ground beef to the mixture and cook until browned, then drain excess fat. Add the remaining ingredients and let simmer on medium heat. Let simmer on low heat for 1.5 – 2 hours and stir occasionally. Don’t forget your nacho chips, sour cream and cheddar!